Few weeks back Nokia Lumia 925 and Nokia Lumia 1020 got listed on Nokia’S India website which implied their arrival in India. Nokia Lumia 925 is now available for Pre Order from online Retailer Flipkart for a price tag of Rs. 33,999. The expected release time is later this month. This is the first Lumia phone to have a metal chassis and is also the slimmest Lumia device so far. 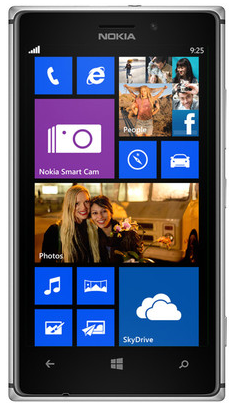 This phone comes with Windows 8 Operating System which is upgradeable to Windows 8 Amber. Nokia Lumia 925 is powered by Dual Core Qualcomm MSM8960 Snapdragon processor which is clocked at a frequency of 1.5 GHz and also incorporated Adreno 225 GPU to aid you with your gaming needs. The RAM capacity is 1 GB which is a little less at this price range. The internal memory is 16 GB which should suffice for most of the users. The internal storage is not expandable. 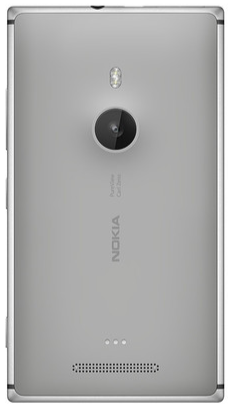 Nokia high end devices are known for their built quality and camera quality. The primary camera of this smartphone comes with a 8 MP sensor, the lens is manufactured by Zeiss and is of excellent Quality. The camera comes with other significant features like Optical Image Stabilization, Dual LED Flash and auto focus. It is capable of full HD recording at 30fps. A front 1.3 MP camera with 720 p video recording capability at 30 fps is also present in this device. It is Expected that Nokia will bring the Nokia Pro Cam App , seen in Lumia 1020 in this phone soon which will provide you with a pretty cool camera interface. The non removable battery has a capacity of 2000mAh and will give you a standby time of around 440 hrs, 2G talk time of 18 hrs 20 mins and 3G talk time of around 12 Hrs 40 minutes. This will be sufficient backup for most people. This device is 8.5 mm thick and available connectivity features include GPRS, EDGE, Wi-Fi, Bluetooth, NFC and MicroUSB. There are many other manufacturers offering better quad core chipset at this price range, but this phone brings with it superior built quality, camera features and admirable battery backup. Nokia fans worldwide are demanding Nokia to shift to Android O.S. and the presence of Windows Phone O.S. system will definitely hold it back. Rumors that Microsoft will built Windows Phone 9 from scratch are not helping either as that might render the O.S. of this device obsolete. You can buy this phone from Flipkart for Rs. 33,999. you will also get a Blaupunkt Bluetooth headset worth Rs. 1356 free as an introductory offer.